Firstly, let me say thank you to all of you who gave me feedback on my fabric designs. You have inspired me to do some more! Seeing as I live on the Sunshine Coast, I thought I'd go for another beachy themed fabric. One comment I received is that there is very little patriotic Australian fabric out there, and it made me wonder what Aussies see as patriotic. When we celebrate Australia Day, thousands of us choose to do so at the beach, it is an iconic part of life if you live near the sea. So anyway, here is 'A Day at the Beach'. 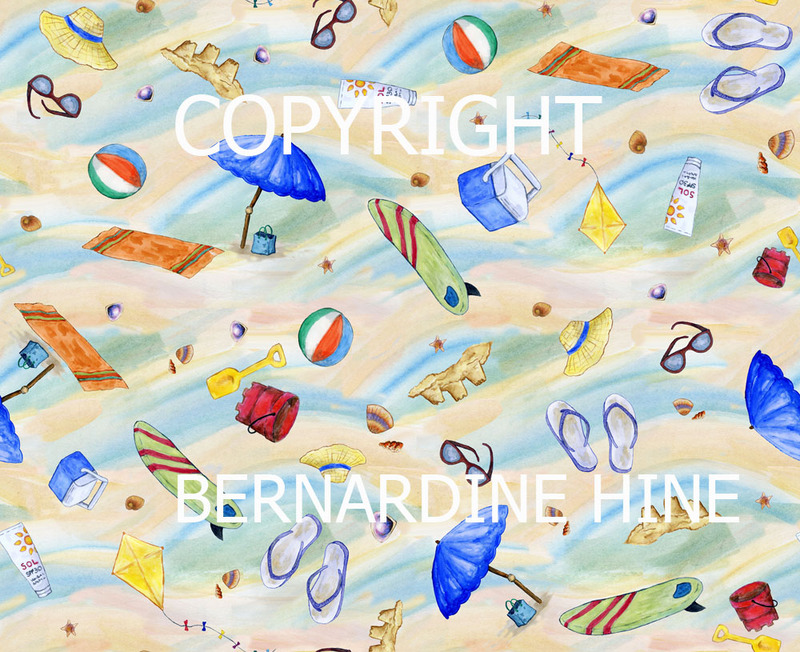 I did want to include the lifesaver's flags, but they are copyright so had to do without.